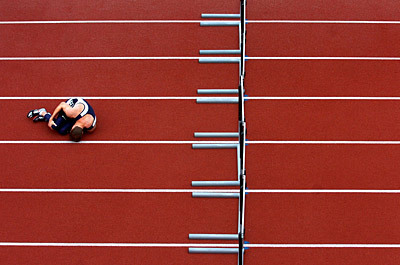 The 11th Annual Sports Shooter Contest was judged during the opening evening of the Sports Shooter Academy VI workshop in early April, 2009. The judging panel of Wally Skalij (Los Angeles Times), Myung Chun (Los Angeles Times), Matt A. Brown (freelance photographer), Michael Goulding (Orange County Register) Dave Black (freelance photographer), Lucas Gilman (freelance photographer), Dave Honl (freelance photographer) and Rod Mar (freelance photographer) spent an evening at Sports Shooter Academy VI working to decide the winners in the contest. The open judging session was moderated by Sports Shooter founder and USA TODAY staff photographer Robert Hanashiro. The contest was made possible by donations from Think Tank Photo, Versa-Flex, and Roberts Distributors. 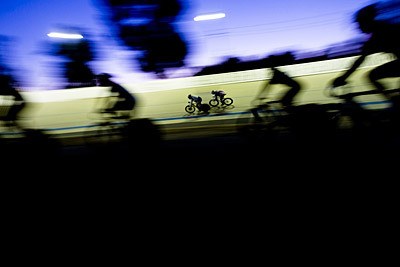 SAN JOSE, CA - 9/6/2008: Team Spiderman's Nelson Li, right, closes in on Team Hollywood Alliance's Anton Quist during the sprint final at the U.S. Masters Track Cycling Championship on Sept. 6, 2008 at Hellyer Park Velodrome in San Jose, Calif.
BEIJING - AUGUST 21: Victor Covalenco of Moldova competes in the Men's Decathlon Long Jump Final held at the National Stadium during Day 13 of the Beijing 2008 Olympic Games on August 21, 2008 in Beijing, China. BEIJING, CHINA - 08/14/2008: Left fielder Masahiko Morino #31 of the Japanese baseball team crashes into the outfield wall attempting to catch a fly ball during a baseball preliminary game against Chinese Taipei at the 2008 Olympic Games at Wukesong Baseball Field in Beijing, China on August 14, 2008. 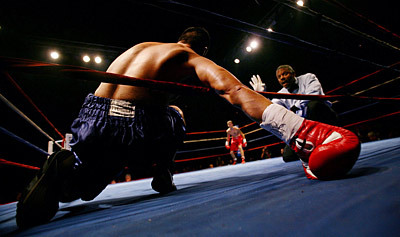 Roanoke, Virginia - Photo Taken 08/09/08 : Cesar Vega (left), composes himself after being knocked down by Andrew Farmer fro- m Front Royal, Virginia (middle, back) during the 139 lb fight at the Salem Civic Center. Fight Nite featured an eight-bout card including 12 fighters from Virginia,four of whom train in Roanoke. 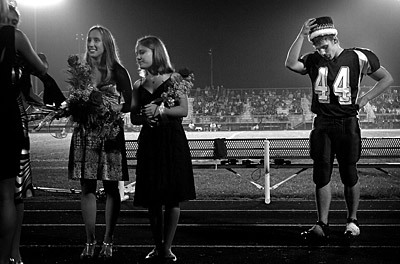 Chesterton senior John Thanos looks down while adjusting his homecoming king crown during half-time against Portage Friday, Sept. 26, 2008, at Chesterton High School in Chesterton. Thanos lost his father and grandfather after they saved a boy from a flash flood on Sept 14, 2008. Kouts seniors Juliette Keller (12) and Ashley Fox (10) comfort one another as they walk off the court for the last time after losing a heart-breaker to Fort Wayne Canterbury 44-46 Saturday, Feb. 16, 2008, during the IHSAA Regional Championship Saturday night at Caston High School in Caston, Indiana. 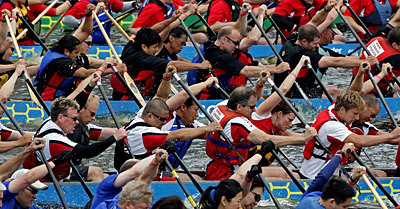 Competitors row their boats during a dragon boat festival on False Creek in Vancouver, B.C., on Sunday June 22, 2008. 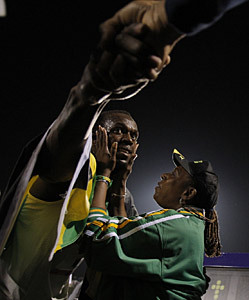 Jamaica's Usain Bolt, shakes a hand as his mother, Jennifer Bolt holds his face after he ran a world record time of 9.72 seconds in the men's 100 meter sprint during the Reebok Grand Prix at Icahn Stadium on Randall's Island in NY, NY on 5/31/08. 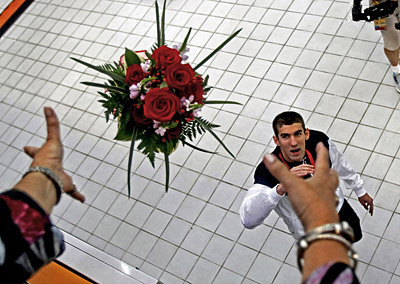 Beijing, China- 8/15/2008: USA swimmer Michael Phelps throws his bouquet of flowers to his mother Debbie after winning the Men's 200m IM swimming finals, his 6th gold medal of the Games, at the National Aquatics Center during the Summer Olympics in Beijing, China on Friday, August 15, 2008. 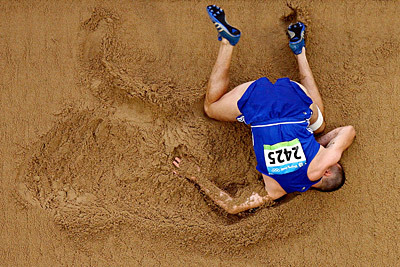 COLUMBIA, MO - 4/12/2008: BYU junior Justin Bingham clutches his knee in pain after hitting a hurdle during the men's 110-meter race at the Tom Botts invitational at the University of Missouri. 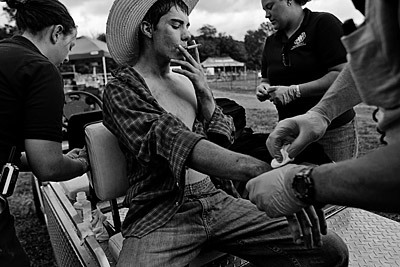 Austin Sutliff, 16, of Reading, Pa., receives medical aid from Hocking College emergency medical technicians after being thrown-off and stepped-on by a bull, on Sunday afternoon, Sept. 28, 2008, in Nelsonville, Ohio. A cowboy for the past four years, Sutliff competes in the Bull Ride Mania rodeo circuit and similar competitions. 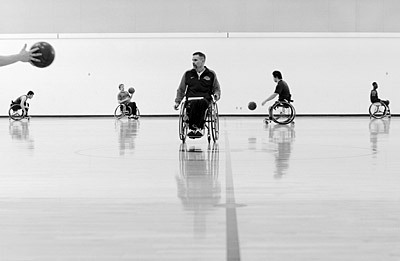 STILLWATER, OK - 03/14/2008: Illinois wheelchair basketball players practice for a tournament game as head coach Mike Frogley watches at Oklahoma State University in Stillwater, Okla., on Friday, March 14, 2008. San Francisco, CA-11/09/08: While many Americans in their 60's are looking forward to retirement, Jane Hesselgesser, 62, prepares to compete in the 2008 Natural Olympia XI of Bodybuilding. Getting in a last minute workout before competition commences, Jane's sculpted back is a testament to her commitment to the sport. "The Beijing Olympic Games Begin"